If you’ve never tried out a Bluprint online class (or even if you’ve taken many), I have the class for you! And best of all it’s FREE on Bluprint!! 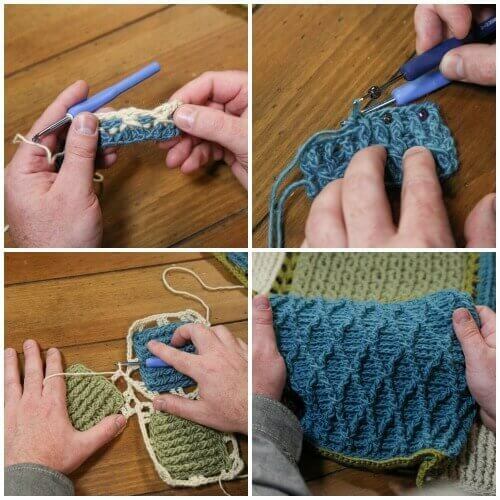 In the online class Amazing Crochet Textures you will learn how to crochet ribbing and cables all while making a gorgeous 12-square afghan. And if that isn’t fun enough, you will be learning from The Crochet Dude himself, Drew Emborsky. The online mini class is broken up over 5 lessons which you can watch at your own pace, as often as you’d like. You can insert notes, add a bookmark, and engage with your virtual classmates. 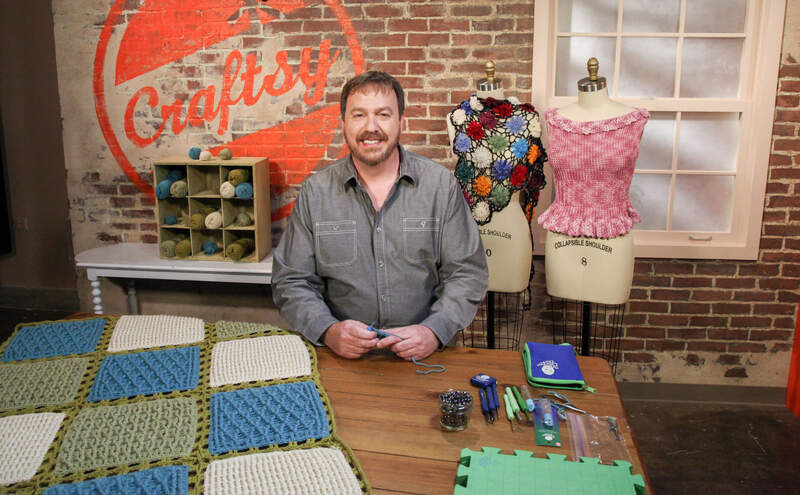 In the lessons, Drew teaches us how to crochet a chainless foundation, work post stitches, create complex cable combinations, follow charts, add beading, and finally how to how to join all our finished squares together with a beautiful join-as-you-go edging. 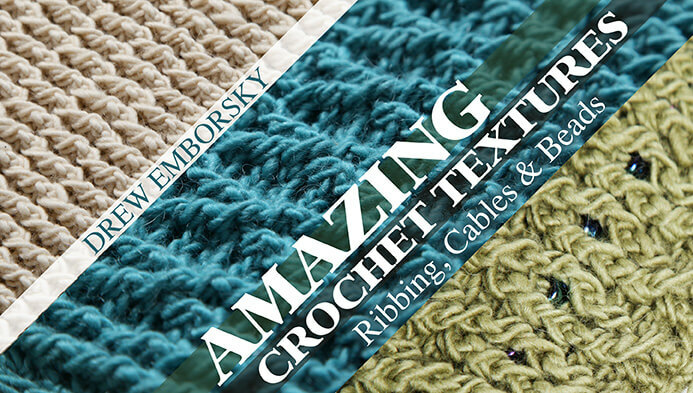 I am sure you already have all the supplies you need to get started, so grab your H hook and some worsted weight yarn and go check out Amazing Crochet Textures. And be sure to come back and share what you learned with me. I can’t wait to see all your amazing lap afghans!! This post and free online mini class was sponsored by Craftsy. Such beautiful textures- thanks Kara! I have been thinking about using the time while my daughter is at preschool to try a few new things (that I couldn’t do if she were home). 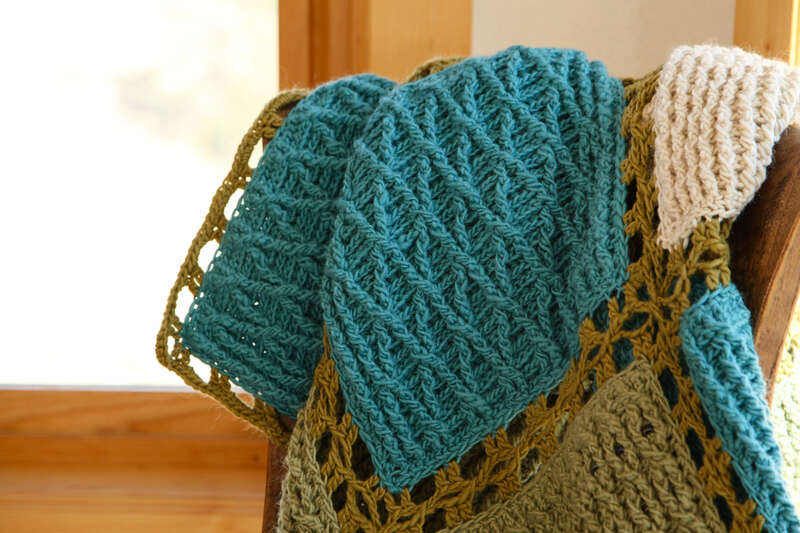 Crochet has long been on my list – and I love Craftsy. Thanks for sharing, Kara! Thanks for sharing! This class looks perfect for a beginner like me. Is this a beginner class or for those who already crochet? How cool! I totally signed up! I love their classes especially the free ones. lol And to learn from the Crochet Dude?! Doesn’t get much better than that! 🙂 Thanks so much for the post letting us know!